Bolivian-born Oscar Reynolds is an accomplished composer, Andean flute master, guitarist, flute maker, and lawyer from the Andes Mountains of La Paz, perhaps best recognized for playing the Andean pan flutes and guitar simultaneously. A leading advocate of Bolivian music for more than 40 years, he has received lifetime honors from the Bolivian government and the Arts & Culture Commission of Contra Costa County. Touring with various Bolivian rock bands since he was 14, Oscar formed the band Karumanta in 1992 upon moving to California, leaving behind a short legal career. He has performed in theaters, festivals, and TV in the USA, Europe, and South America with Latin artists like Cecilia Barraza, Lalo Izquierdo, and flamenco guitarist Chuscales, among many others. Oscar has 10 albums produced under his own record label Karumanta Music. Believing in the power of music changing lives, he works with nonprofits and charities to help the community. Carlos Ramirez is a Colombian multi-instrumentalist and singer. At age 10, he began his musical career in Puerto Rico, singing in children's TV programs while studying classical guitar. A few years later, he relocated to the San Francisco Bay Area, where he has resided ever since. For over 40 years, Carlos has performed in restaurants and concert venues throughout the Bay Area, including the famed Yoshi's in Oakland. He has also performed with several renowned musicians who have formed part of Santana and Fania All-Stars bands. Carlos is equally adept to play Latin jazz, salsa, and flamenco, as well as folkloric music and other genres. Huascar Reynolds grew up with music, learning the violin, guitar, and then the cajon (box drum) from master Afro-Peruvian drummer Lalo Izquierdo. Since he was 15, Huascar has performed with his father Oscar Reynolds in theaters, festivals, and special events throughout the Bay Area. In the last 20 years, we have learned that planets orbit most of the stars in our galaxy. Now that we have a better understanding of planet populations, the field is moving from detecting exoplanets to characterizing them. The direct imaging technique is uniquely capable of characterizing cold planets, long-period planets, and ultimately, habitable planets around Sun-like stars. I will describe how we image exoplanets, why we image exoplanets, and where the field is heading as we develop technologies that will soon be capable of detecting bio-signatures in the atmospheres of habitable planets. 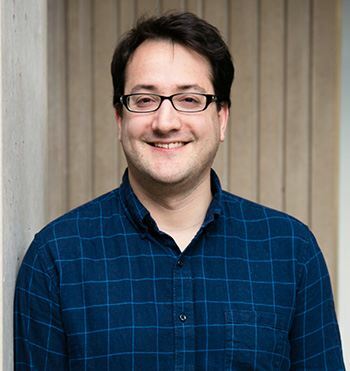 Andy Skemer is an Assistant Professor and an Alfred P. Sloan Fellow in the UC Santa Cruz Department of Astronomy and Astrophysics. He is leading the development of a new exoplanet imaging spectrograph for the W. M. Keck Observatory, and he is co-lead on a community effort to take the first images of exoplanets with NASA’s James Webb Space Telescope.